Are you renting a car this holiday season? Many people will be, whether they are renting a vehicle at the airport when visiting friends or renting a small van or truck to get trees or other holiday purchases home. If you are planning on renting a vehicle, however, you will want to keep some safety tips in mind to ensure that your rental is safe and takes you where you need to go. 1) How has this vehicle been maintained? Unfortunately, some rental trucks and cars have poor safety records. Investigative reports have found mechanical problems with rental vehicles before and some customers have accused rental companies of renting unsafe vehicles. When taking a look at the vehicle with the rental company representative, ask questions about any potential problems and take photos of any signs of damage (this can protect you later on if you are accused of causing the damage). Ask for a new vehicle if you notice poor steering, unexplained noises, or other issues. If you will be traveling in the car for some time, consider taking it to a mechanic to make sure it is safe. 2) Am I qualified to drive this vehicle? Your best option is to rent a car similar to the one you usually drive, as you will be most familiar with the vehicle. When renting a truck, especially, be aware that larger vehicles have much larger blind spots and may be harder to maneuver. Even if a rental company is willing to rent a large truck, it does not mean that you have the experience or skills to drive it. Consider your options carefully. 3) What safety devices does this car or truck have? 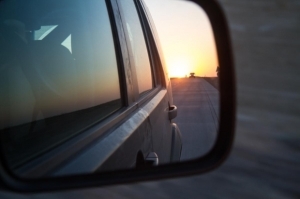 GPS devices, rear-view cameras, and other devices can all help you drive safer. Test them out before you leave the parking lot and set them up so that they help you drive. If you notice any problems with any safety devices – such as the seatbelts – have the rental agency get you another, safer car. 4) What route will I be taking in this vehicle? If you will be driving longer distances in the vehicle, make sure that the vehicle is road-worthy and safe for longer distances. If you will be traveling outside of Florida in areas where snow is possible, make sure that the vehicle is winter-ready. This means winter tires. Do not accept all-season tires if you will be driving on snow and ice, since those tires may not grip the road adequately to keep you safe. In addition to proper winter tires, make sure that the car or truck has anti-freeze and windshield wiper fluid that is suited for colder temperatures. Have you been injured in a rental car or truck accident in Homestead or anywhere in Florida? You may be entitled to compensation that can help cover the costs of medical care, lost wages, pain and suffering, incidental expenses, and more. To find out whether you have a claim and to get legal advice about your situation, contact Flaxman Law Group at any time to arrange a free case evaluation.